Space heaters come in many types, and there are many ways in which you might judge which one is "best." You could rank them according to safety, for example, or cost, or any number of other criteria. However, for this discussion, we'll focus specifically on which heaters are the most energy efficient. 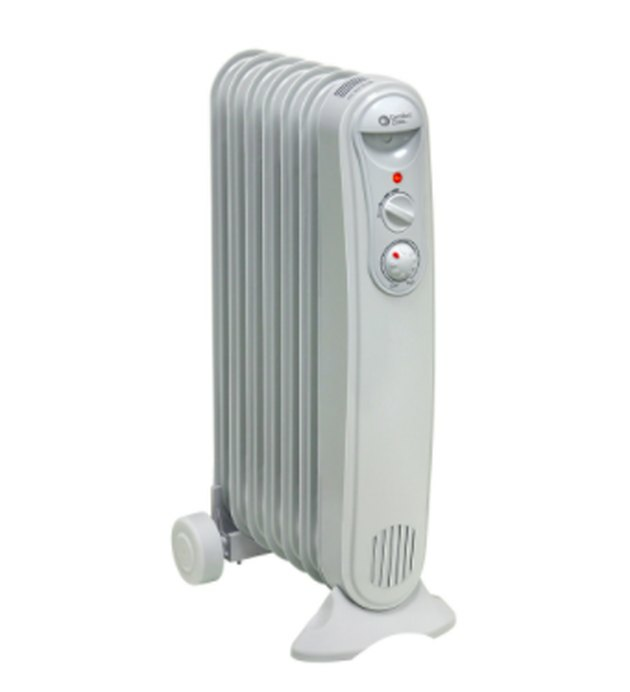 Modern space heaters like this ceramic heater have digital thermostatic controls and timer features. No space heater is an energy-efficient replacement for a central heating system, but the right heater can be an effective way to warm a small, chilly space for a short period of time, or to augment a central heating system that's not completely up to the task of heating a space during the coldest weather. Different types of heaters excel at different types of heating tasks, though, so the most efficient heater for your situation depends on how and where you're going to use it. What is Meant by "Energy Efficiency"
In the general terms of thermal physics, energy efficiency is a measurement of the ratio of the amount of energy used to power a space heater compared to the usable energy that is produced by the heater. When comparing two heaters that use the same type of energy source—electricity, kerosene, natural gas, wood, etc.—it is possible to measure how much heat, measured in BTUs, is produced for a determined amount of input energy. Aside from the pure physics of thermodynamics, there are many ways to look at energy efficiency, and each should be considered when choosing a heater. In general terms, space heaters that make use of petroleum-based fuels like kerosene, gasoline, fuel oil, propane, and natural gas will be more efficient than electric-powered heaters. This is because petroleum fuels generally burn fairly completely. Electric heaters may convert electricity fairly efficiently, but generating electricity itself is a fairly inefficient process. Overall, electric heaters will be less efficient than petroleum-fuel heaters. This is why most central home heating systems use natural gas or petroleum gas whenever they are available. Where practical, gas or kerosene space heaters are a good choice. But there are limitations in where they can be used, and they require ventilation. Generally speaking, electric space heaters are more versatile and safer than the various heaters that use forms of petroleum as their fuels, and so most homeowners lean toward electric heaters when making space heating choices. The most efficient space heater is one that's sized appropriately for the space it's being asked to heat. The heat output of space heaters varies widely, typically between 10,000 and 40,000 British thermal units (BTUs) per hour, and higher heat output comes at the cost of higher energy usage. If you have only a small space to heat, choose a heater that produces enough heat to adequately warm that square footage and nothing more. Convection heaters use fans to create air circulation that spreads their heat throughout the space they're heating. Because they move heated air effectively, convection heaters heat rooms quickly, which makes them efficient when they're used in relatively large spaces. Radiant heaters don't use fans, but rather radiate their heat passively to directly warm people and objects near them. If you need to stay warm in a small space for a short period of time, a radiant heater can be more efficient than a convection heater because the heater doesn't waste energy trying to heat a large space or running a fan. Space heaters may be one type or the other, or they may combine feaures to provide both radiant and convection heat. For example, some heaters may have both heating elements that radiate heat as well as blower features that provide convention currents to move heat around the room. An eletric oil-filled radiator is a very dependable and safe heater. 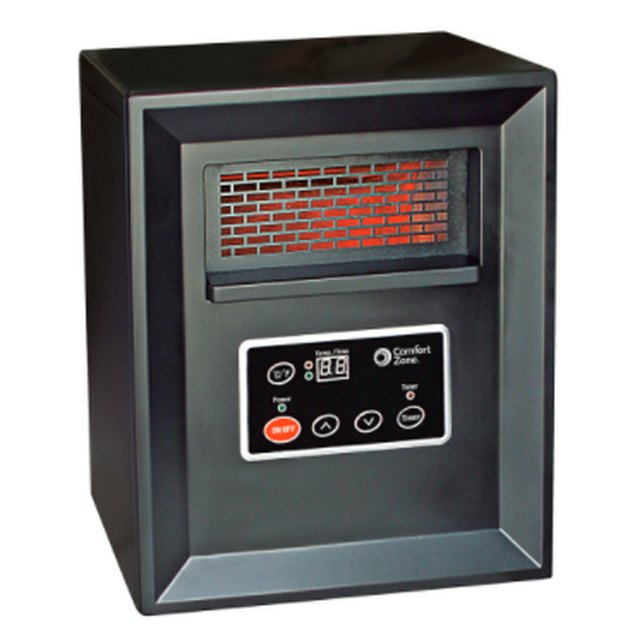 This type of space heater provides radiant heat by warming up a special oil within the radiator. Some convection current is also provided through the natural currents of warm air rising. These radiators are extremely efficient because once the oil is warmed, it will continue to radiate heat until it fully cools off again. 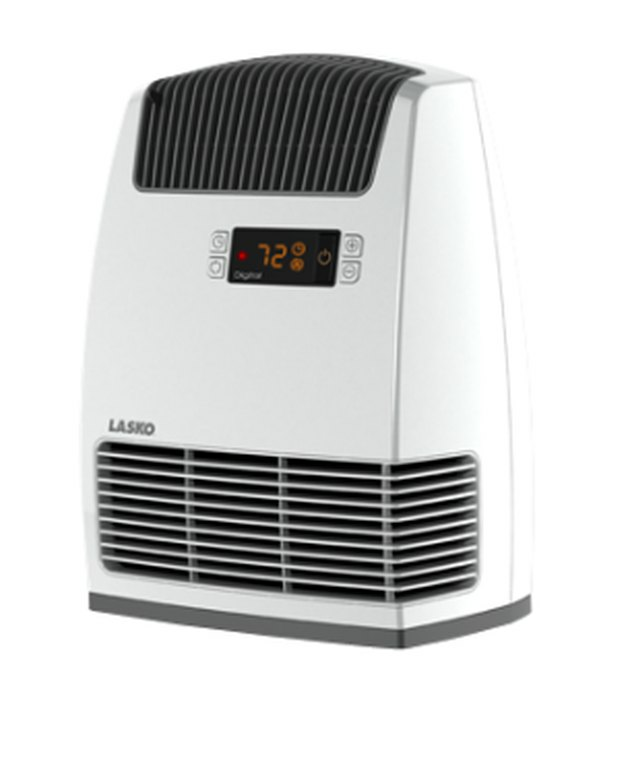 This is widely regarded as the most energy-efficient of all electric space heaters. Another advantage is its quiet operation. A micathermic is a new electric heater design that creates both radiant and convention heat. Micathermic heaters generate radiant and convection heating through a broad panel to supply safe instant heat. The panel uses a mica and nickel alloy, which provides the heaters with exceptional electrical and mechanical strength and very good temperature stability. A micathermic heater doesn't overheat easily, and it heats up twice as fast as conventional space heaters. This is a very economical heater. Ceramic heaters use ceramic plates and aluminum baffles to conduct heat that circulates warm air throughout the entire room. Their advantage is in quickly focusing heat to where it's needed most. Though a ceramic heater provides a great amount of heat, it remains cool to the touch. A traditional radiant heater will have an obvious glowing heating element. This is the classic heater known for its brightly glowing heating element, which is usually visible. Radiant heaters are also are known as quartz heaters or infrared heaters. There may be a reflector pan to direct the radiation out into the room. They only heat objects, not the air in the room. For this reason, they are fairly energy efficient but heat somewhat unevenly. Facing a radiant heater, you may be pleasantly warm on the front side but still feel chilled on the back. Radiant heaters can get very hot and can be a safety hazard. 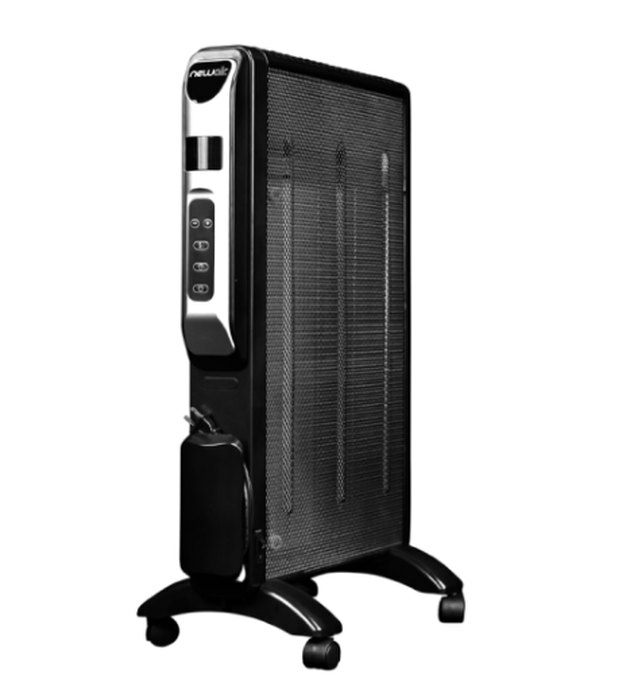 A space heater quickly becomes inefficient if it continues to try to heat a space when the space is already warm. Any heater equipped with a thermostat will save energy by shutting off the heater when the air around the unit reaches the desired temperature. Adjustable wattage controls allow you to decrease the unit's heat output when you don't need it to operate at its maximum capacity. For example, some thermostats can be set either at 750 watts or 1500 watts. How Much Electricity Do Oil Filled Heaters Use?